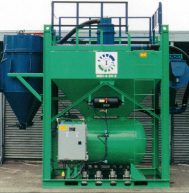 SAFE Systems provides a wide range of portable equipment to meet your blasting, surface preparation, and dust collection needs. Trailer or skid mounted, our equipment is configured to work wherever you need to work. 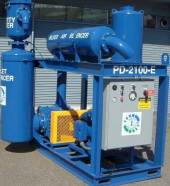 Our portable equipment includes blast vessels, blast and recovery systems, and positive displacement vacuums. Whether you are a contractor working on multiple projects, or your production environment requires more flexibility than available with a fixed blast facility, SAFE Systems has the right solution.